First things first, happy New Year. I trust that everyone’s risen from bed and had their hair of the dog by now. For those who’ve been up longer, I hope that your New Year’s Day dessert experience went better than mine. Or perhaps the word would be more “fruitful” than mine. Because my first culinary lesson of 2008 is that beets and sweets are not exactly interchangeable. Just because I’ve gotten cozier with beets this winter and fall does not mean that they belong in desserts. After all, I’m not standing on “kitchen stadium” of The Iron Chef, and we aren’t suffering any shortage of apples or other winter ingredients usually associated with desserts. But my good fortune with other beet applications inspired a mad streak of confidence. An ice cream flavor sounded plausible — perhaps “red velvet” with beets for coloring as well as prominent flavor. But I didn’t think frozen desserts could highlight the luscious texture of cooked beets, one of my favorite of its traits. So I got all worked up over the idea of making panna cotta, the rich Italian custardlike dessert which translates to “cooked cream.” After flipping through the cookbooks, I quickly found out that it’s set not by eggs or egg yolks, but unflavored gelatin. Well, I didn’t have any on hand. Then I remembered another Italian dessert, budino, or simply “pudding” in Italian. This variety more resembled a traditional egg custard, and is often baked in the oven before chilling. 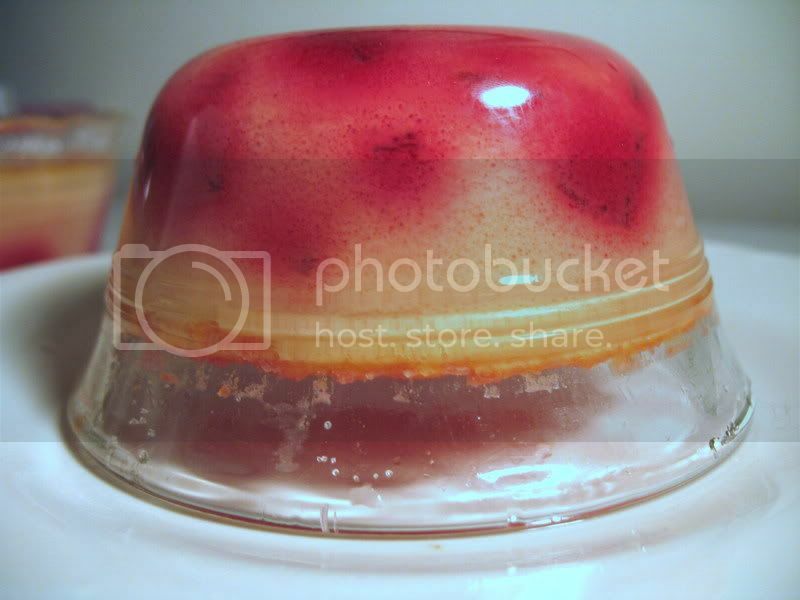 I went to work on a creamy version with juicy cubes of beets suspended within. Beat the egg white with an electric beater until light and fluffy. In a separate bowl, beat the milk with the sugar until dissolved. Add the egg yolk, and lightly beat until mixture is smooth. Add the lemon juice, cream and flour and stir until thoroughly combined. Fold in the egg white. Finally, fold in the cubed beets. Preheat the oven to 350 degrees. Butter and sugar two individual baking ramekins. Pour custard mixture evenly amongst them. Place ramekins in a baking pan or casserole with water in the bottom so that when the ramekins are in the pan, the water comes to about half of their height. Bake for 30-40 minutes, or until the top has become frothy and mixture just begins to pull away from the sides. Let cool completely, then chill in the refrigerator for 2 hours before serving. LOL ! 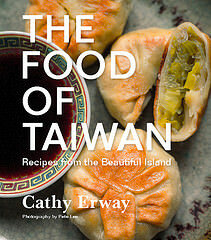 We all have our disasters in the kitchen, without which we would not grow as cooks. Have you thought about extracting the sugars from the beets (boiling and reducing) and using just that liquid for sweetening desserts? How did you cook the beets? I would think roasting would be the optimal method. I have made sweet beet custards and eaten beet ice creams and tarts and the secret to success seems to be the caramelizing power of high-heat, low-moisture cooking. 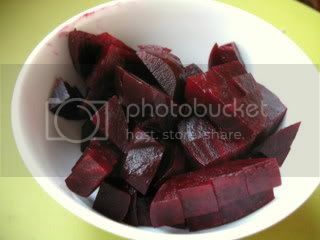 You can also shred raw beets and extract the sweetness in below-simmering water(more steeping than boiling). I would also consider using a puree instead of chunks(you could also pass the puree through a foodmill or tamis or the like and then reduce the liquid you end up with). 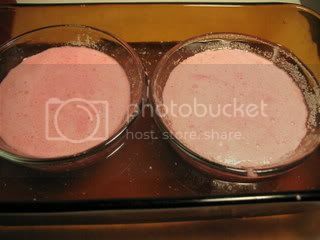 Also, powdered beets could work, and can be found at some health food stores and definitely at Kalustyan’s. hilarious! the color is great though. i’m kind of scared of beets, but i bet you could make this with strawberries and it would be great! Chewy and Masticator, I was hoping somebody would come by with advice. Thanks! I did roast the beets here, in tin foil, before peeling and chopping them. I was thinking of then boiling or reducing them into some kind of syrup, as if they were a strawberry or something, and wasn’t sure if it could be done — so thanks so much for the suggestions. I’m sure I’ll try them all eventually. I love that upside down photo. The color is certainly nice though. “tin” foil? Are you from Pittsburgh? Hi Susan: Hm, I’m from New Jersey… I kind of spewed out the term “tin foil” without thinking about it, so maybe it is a regional thing. Huh. Haha. This reminds me of the time I tried to use bananas in a savory dish. Couldn’t finish the bunch quick enough and thought I’d try cooking with it since I don’t like overly ripened bananas. Used them in a cassarole and boy was it fugly. Still, it was edible enough for a hungry college student to quietly swallow. I think I ate a good third. These days, I just wrap ’em up and pop in the oven for a safer sweet treat. 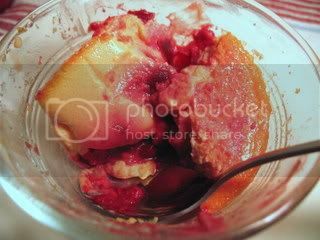 Just stumbled upon your site & this “regret.” I actually added the beet juice from Rick’s Picks “Phat Beets” in a flan recipe this past Valentine’s Day. I used about 5 tablespoons to make about 10 ramekins of flan. My intention with the beet juice was just to add color (like yours has) and a bit of savoriness to the recipe (the “Phat Beets” has a lot of ginger & rosemary). I think the result was just on the good side of a disaster. It was tasty & filling. Perhaps a teaspoon more of the beets and it would have been awful. Thanks for your blog!